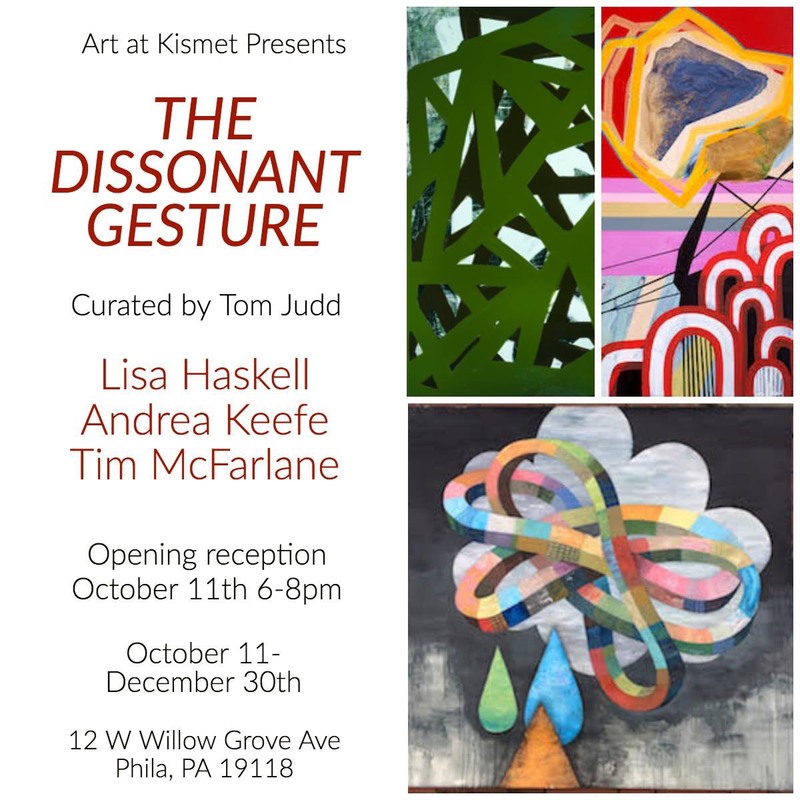 Very excited to have work in The Dissonant Gesture, a three-person show at Kismet Cowork - Chestnut Hill with Lisa Haskell and Andrea Wohl Keefe, and curated by Tom Judd! The opening reception is on Thursday, October 11th, 6-8pm. The exhibition continues through December 30, 2018. Kismet Cowork is at 12 West Willow Grove Ave, in the Chestnut Hill section of Philadelphia.